The KTM 390 Adventure which was spotted on test earlier this year has been seeing doing rounds and going through thorough tests once again. This time around the spy shots give us a closer look on the dashboard of the upcoming adventure motorcycle. The BMW G310R and the Kawasaki Versys-X 300 rival gets an LCD TFT screen expected to be the same unit as the one on the 2017 KTM 390 Duke. Although the hardware could be the same, the user interface of the TFT screen will be updated and could sport more adventure-oriented features such as an altimeter and a digital compass. KTM 390 Adventure seems to be equipped with a long seat which will offer more comfort when touring and will also enhance its off-road capabilities. 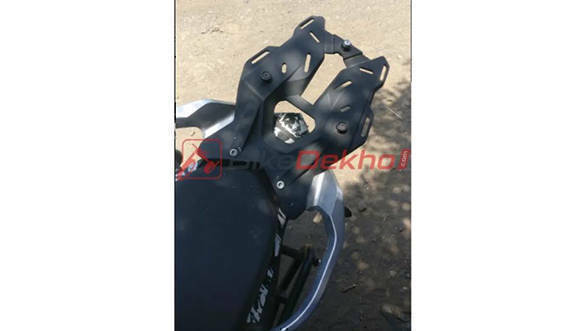 We believe the seat height will be lower than that of the KTM 390 Duke's which is at 830mm. Additionally, the spy shots give a closer look at the luggage mounting point on the rear. It seems like the KTM 390 Adventure will be Leh-Ladakh ready when its customers can buy one off the shelf. The panniers and the top box could be an optional extra under the branding of KTM Power Parts. We can expect heavy duty cycle parts, such as a beefy USD (upside down) fork setup. The test mule was shot with dual purpose tyres, on newly designed 10-spoke alloy wheels. The engine is expected to be the same 373.5cc block seen on the KTM's 390 range of motorcycles. 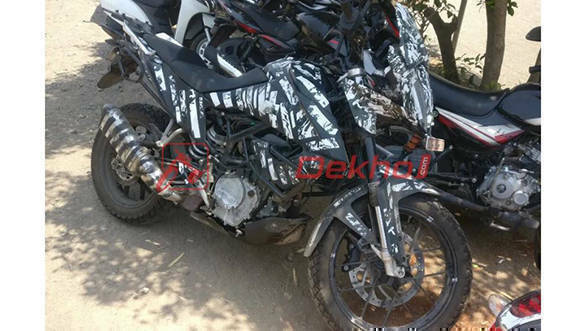 That said the power figures are expected to be the same as well, however, it will be very wise of KTM to debut the 390 Adventure with a BSVI compliant engine. The KTM 390 Adventure is also expected to rival the Royal Enfield Himalayan if priced aggressively i.e under 2.5 lakh ex-showroom pan India. 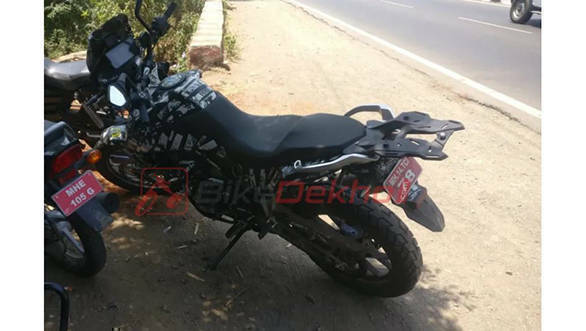 News analysis: KTM 390 Adventure spy shots  what do they promise?